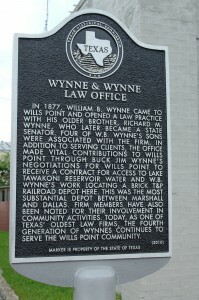 The firm’s roots reach back to 1877 when Prater’s great grandfather, William Benjamin Wynne, hung his shingle to practice law in Wills Point, Texas. 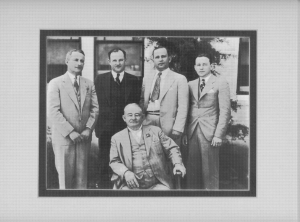 Both of Prater’s grandfathers were lawyers: Ben Monning in Amarillo, Texas and Buck Wynne in Wills Point. Prater’s father, Ben Monning, Jr., practiced law in Amarillo until his father’s death in 1970, at which time he moved his practice to Wills Point. Prater and his brother Bruce continued the family’s legacy in Wills Point after their father’s death in 2002. Heritage alone is not sufficient reason to hire a lawyer to undertake a serious matter. We work with and against lawyers of the highest caliber. We have faced adversaries who employed a wide variety of strategies, from hard-nosed professionalism to outright, multi-fronted hostility. Our experience has reinforced what our heritage disposed us to believe. The law is “a great calling . . . that can be practiced in a grand manner.”* Although injustices do occur in an imperfect system, the rules of law and procedure, when applied with thoughtful preparation, resourcefulness, perseverance and honesty are usually more than enough to overcome whatever the adversary tries. *Chrys Dougherty, President’s Page, 42 Texas Bar Journal 993 (1979). © Wynne & Wynne All rights reserved.